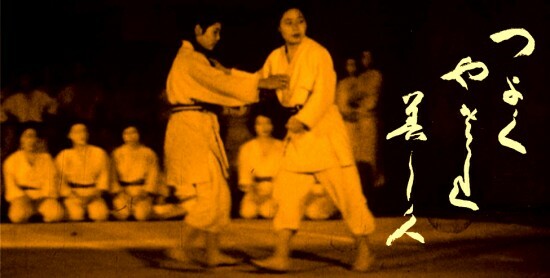 SAN FRANCISCO — In memory of the late judo master Keiko Fukuda, a special tribute screening of “Mrs. Judo: Be Strong, Be Gentle, Be Beautiful” will be held on Thursday, March 21, at 4:30 p.m. at the Sundance Kabuki Cinemas, Post and Fillmore streets in San Francisco Japantown. Admission is free. Fukuda, the last surviving student of judo founder Jigoro Kano, passed away on Feb. 9, just short of her 100th birthday (April 12). Standing less than five feet tall and weighing less than 100 pounds, Fukuda was one of only four judo practitioners in the world (and the only woman) holding 10th dan, judo’s highest-degree black belt. “Mrs. Judo” chronicles her seven-decade judo career, as well as her deep dedication to the practice, the sacrifices she made along the way, and her struggle with the Kodokan’s long history of sexism. The documentary was previously screened at the 30th San Francisco International Asian American Film Festival (now known as CAAMFest) last year. • Keiko Fukuda & Shelley Fernandez Girls & Women Judo Foundation Inc., 475 Hoffman Ave., San Francisco, CA 94114. A 501(3)(c) charity (pending) that provides scholarships for females, regardless of rank, to attend competitions and judo camps, train women to become judo instructors, does outreach, and pays dojo dues for economically disadvantaged females. • Keiko Fukuda Joshi Judo Inc., P.O. Box 31603, San Francisco, CA 94131-0603. A 501(3)(c) charity whose purpose is to share and promote all positive aspects of the philosophy, tradition, and techniques of judo, and encourage women to participate in the martial art by hosting an annual judo camp for women (Joshi Judo Camp). • USJF Keiko Fukuda Scholarship, P.O. Box 338, Ontario, OR 97914-0338. A program of the U.S. Judo Federation Endowment Trust established by Fukuda to encourage female judoka to continue their formal education and/or further their training in judo. • Soko Joshi Judo Club, Wilina Monar, Head Instructor, 1622 Castro St., San Francisco, CA 94114. The women’s judo club founded by Fukuda. Fukuda is survived by her nieces, Noriko Tajima and Taeko Uyama, nephews, Akimitsu Fukuda and Masanori Fukuda, and their children.